3 Things You May Not Know About Orthodontics - DeAun Regan, D.D.S. 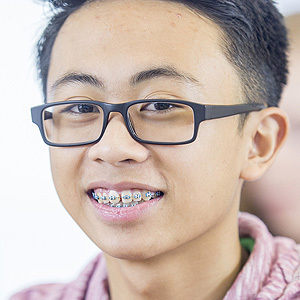 It’s a common sight to see someone wearing braces—and not just teens or pre-teens. In the last few decades, people in their adult years (even late in life) are transforming their smiles through orthodontics. If you’re an adult considering treatment to straighten your teeth, this particular dental specialty might be an unfamiliar world to you. Here are 3 things you may not know about orthodontics. Orthodontic treatment cooperates with nature. There would be no orthodontics if teeth couldn’t move naturally. Teeth are actually held in place by an elastic tissue called the periodontal ligament that lies between the teeth and bone. Small fibers from the ligament tightly attach to the teeth on one side and to the bone on the other. Although it feels like the teeth are rigidly in place, the ligament allows for micro-movements in response to changes in the mouth. One such change is the force applied by orthodontic appliances like braces, which causes the bone to remodel in the direction of the desired position. Treatment achieves more than an attractive smile. While turning your misaligned teeth into a beautiful, confident smile is an obvious benefit, it isn’t the only one. Teeth in proper positions function better during chewing and eating, which can impact digestion and other aspects of health. Misaligned teeth are also more difficult to keep clean of bacterial plaque, so straightening them could help reduce your risk of tooth decay or periodontal (gum) disease. Possible complications can be overcome. Some problems can develop while wearing braces. Too much applied force could lead to the roots dissolving (root resorption), which could make a tooth shorter and endanger its viability. Braces can also contribute to a loss of calcium in small areas of tooth enamel, which can make the teeth more vulnerable to oral acid attack. However, both these scenarios can be anticipated: the orthodontist will watch for and monitor signs of root resorption and adjust the tension on the braces accordingly; and diligent oral hygiene plus regular dental cleanings will help prevent damage to the tooth enamel. If you’re dreaming of a straighter and healthier smile, see us for a full examination. We’ll then be able to discuss with you your options for transforming your smile and your life.